Fundraiser for Scott Mooneyham by Sally Williams McCormick : Special Needs Football and Cheer! Special Needs Football and Cheer! 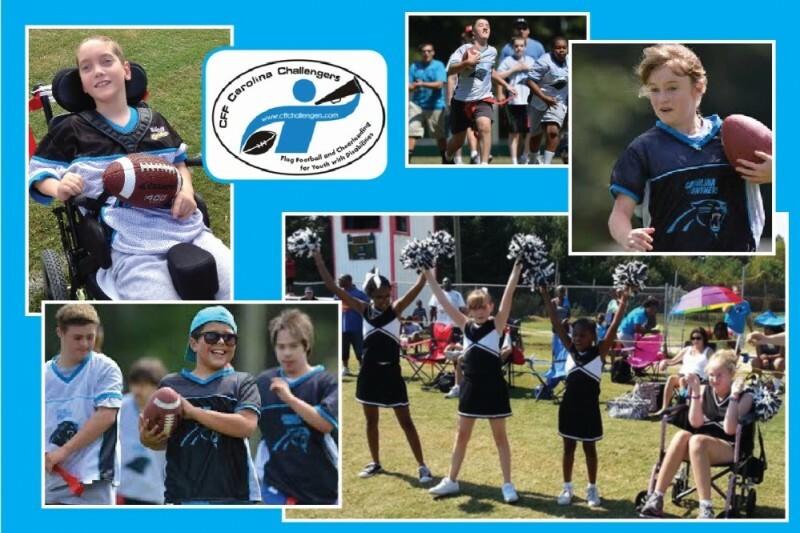 The CFF Carolina Challengers makes it possible for kids with disabilities to play football, be cheerleaders and to be part of a team. This year our special kids have a special opportunity to participate in the Pop Warner Little Scholars Super Bowl in Disney World and we need your help. We have the desire, but we need the funds to help make this a reality. Money raised will go to help pay for the children so every family can afford to go and to cover our regular-season expenses. (We offer our program free to all participants so that cost is never an obstacle.) Our goal is to raise the money by the end of October so travel plans can be made. All proceeds go directly to supporting these children. The Challengers is an all-volunteer organization. Thank you for helping make this dream a reality for a group of kids who not only want to be seen for their unique abilities but also love having the opportunity to play football and cheer! You can find out more about the CFF Carolina Challengers at www.cffchallengers.com. Make sure to check out the photo gallery on the FAQs page to see our kids in action. Go Victoria, we are really proud of you and all of your accomplishments.! !